Golf Australia reports that 1.18 million Aussies hit the golf course every year. 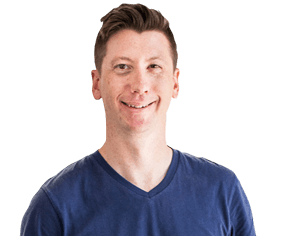 They also see that in order to sustain or increase the games appeal to an ageing yet tech savvy population, something must change. And it can with a new electric golf Buggy from concourse golf! Golf needs to modernise to stay in touch with the times. Modernising golf doesn’t mean installing holograms and streaming a personalised music list across the greens. Instead, it needs to consider the needs of an evolving player. One consideration is the advancement of game accessory mobility and intelligence. Lugging around a golf buggy and administering the game in a manual fashion will become less alluring to their audience. Unfortunately, this audience is the future of the game, so something must be done. We’ve been working with award winning Concourse Golf, to develop the electronics for an intelligent golf buggy wheel – the Smart Wheel. We know that an electric golf buggy, or buggy wheel are not unique in themselves. Smart Wheels convert existing manual push buggies into electric buggies by simply changing the wheels. The software, sensors and algorithms we are designing will change the way electric golf buggies operate. They can be potentially applied to a range of other industries. Some of these include health and logistics. What has made this project even more special, is the focused support from the Australian government. There is also a determination from Concourse to contribute to the Australian innovation sector. Concourse will now be bringing its head office and manufacturing operations from Sydney and China respectively. 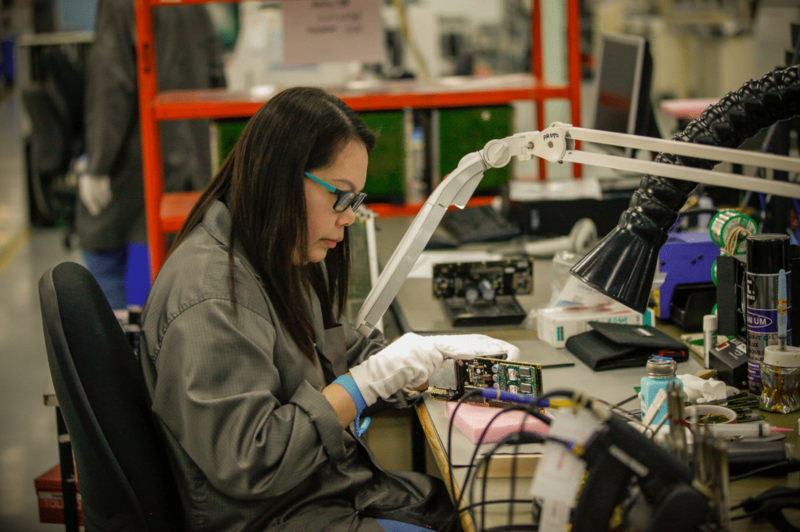 Procept is supportive of Australian innovation and manufacturing, so we are very excited to be working with Design and Industry in Melbourne, and local manufacturers SRX Global in the Melbourne outer suburb Dandenong as we move through the design of the electronics and into manufacturing. At this stage, we envisage the Smart Wheels rolling off the manufacturers floor in December 2017. 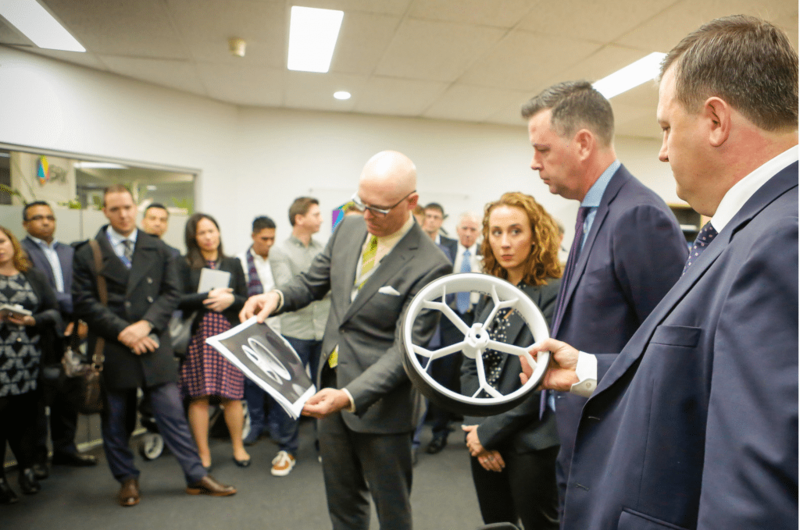 On Tuesday May 16th, the Hon Wade Noonan, Minister for Industry and Employment and Gabrielle Williams, Member for Dandenong visited the product team at the SRX Global factories. They confirmed that the move by Concourse Golf will create 198 new Victorian jobs by 2020 in production, research and development. So now that a government official has endorsed the Smart Wheel, we should keep progressing our work in time for a December manufacturing period.